NOTE: Pics for illustration. Colors may vary slightly from your screen. Specs As shown in list details below. The Process: When you order, your card will be billed for the full amount. You will then get an automatic email reply by the next business day. Frid/Sat/Sunday orders get email on Monday. Weekends/Holidays are not counted as "days". This is the much anticipated HAL (Highly Active Linkage) Full Suspension 27.5/650B by Motobecane USA. 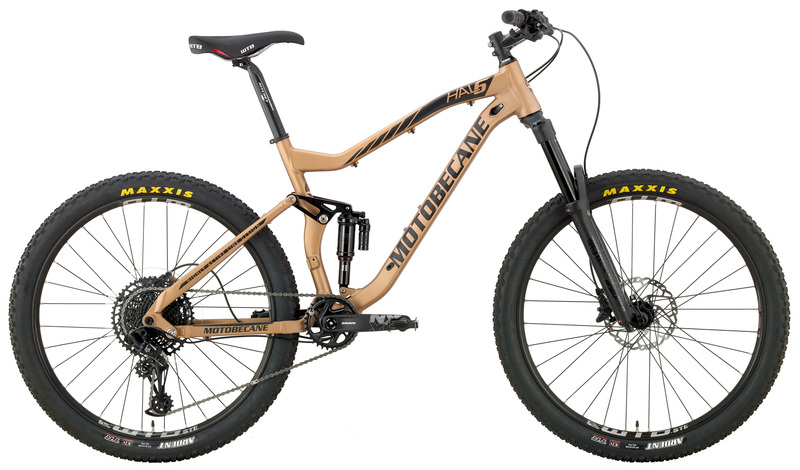 Building upon over a decade of FS design, this 27.5/650B Full Suspension is designed for up to 6 inches of terrain taming travel both front and rear. The HAL Linkage uses a chainstay mounted pivot for even more supple suspension tracking and incredible control even while applying the brakes. Chainstays are also shorter on the HAL6 models for incredible Billy Goat climbing and traction. Bottom line it’s an attractive and affordable package that leaves plenty of budget for down-the-road upgrades. …exciting sibling model announced for …Team Version with RockShox Pike RCT3 forks, and XTR / XT 20 Speed, Guide Brakes…is ridiculous value and it will be an awesome performer. CC H. MTBR.com "I did another really technical climb on my hal 6 pro...I made it way further than I ever have on any other bike. Its narrow, rocky, rooted, and steep and even I was amazed at what I made it through. Part of the advantage of this bike is the high pedal clearance. I could also feel the back just sticking down, never spun out once even when leaning forward. I attribute that to the suspension, and the nice tires. The feeling of the bike under me is light and stiff. I assume the hal5 will climb better than the hal 6 because of a steeper head angle, and less travel front and rear. 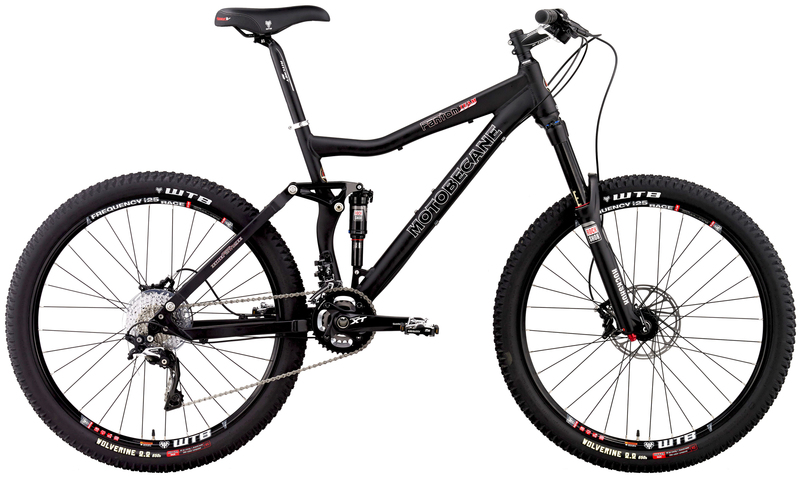 I will be doing a direct comparison with my friends 2016 stumpjumper FSR comp. the frame angles and measurements are almost identical on paper except for the seat tube on the Hal being steeper by 1.5 degrees…"
Customer video is of the HAL6. Hal6 (Team) "Handles Incredibly, Saved a Ton of Money on it"
Hal6 (Expert) "…for the money - pretty awesome, having a blast" "worth the money" "(vs Giant Trance $2300) "pretty comparable, pretty darn good"
Building upon over a decade of FS design, these bikes are superb offroad machines. The HAL (Highly Active Linkage) Design represents the top of the food chain. Super supple and more control than ever. Imagine the trails you will crush with 160mm up front and up to 6 inches of travel in the rear. The HAL (Highly Active Linkage) Design represents the top of the food chain. Super supple. Climbing, descending and braking with more control than ever. The HAL 6 Series features shorter chainstays than ever before = Billy Goat climbing ability and traction. With the HAL series, you've got a super-capable full suspension 27.5/650B trail bike that'll do just about anything for Thousands less than any other bike. S 41cm- 5'5" to 5'7"
M 44cm- 5'8" to 5'11"
L 46cm- 5'11" to 6'1"
XL 50cm- 6'1" to 6'4"